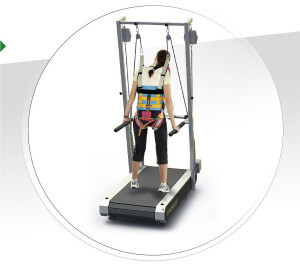 Originally developed for professional sports and rehabilitation, the SPRINTEX slat-belt treadmills let your clients run in their most natural, undistorted form. 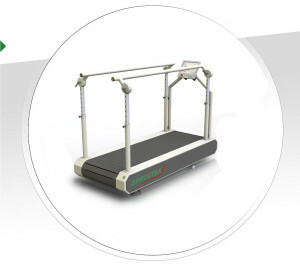 Conventional treadmills create a stop effect between the belt surface and the running surface (dynamic friction) when the foot lands, directing a significant portion of the landing energy back into joints. This negative effect can cause unnecessary strain and the effect increases as the client’s weight goes up or the running speed increases. Slat technology does not permit any dynamic friction since the majority of the landing energy is absorbed by a special combination of rubber pads with air channels, free-floating slats, dampened drive belts and approx. 120 high-tech ball bearings. The landing energy is transformed into rolling friction. SPRINTEX slat-belt treadmills are therefore the ideal choice for sensible training that promotes endurance and health with maximum protection for our joints. 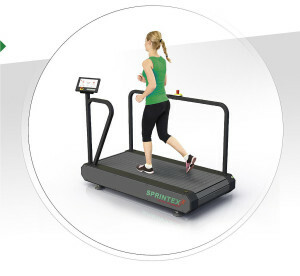 The SPRINTEX ORTHO is the treadmill that we recommend for gait analysis but we also offer other treadmills for rehabilitation and fitness training.